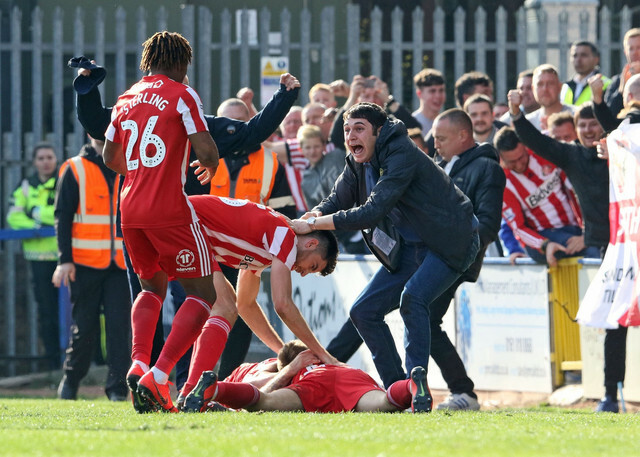 Further evidence of the immense character within the Sunderland dressing room was on show at the Crown Oil Arena as the Lads came from behind to WIN in the most dramatic of ways. Charlie Wyke finished neatly before substitute and club captain George Honeyman slotted home Luke O'Nien's cross, meaning we can fully captialise on the teams above us stumbling on a fine weekend for Sunderland. Time to rate the players as usual! Scroll down, select a rating and, if you wouldn't mind, leave a comment so we can choose the best ones for tomorrow's round up article!